The Federal Road Safety Corps on Saturday cautioned its officers against chasing erring motorists no matter the traffic offence committed. The FRSC Corps Public Education Officer, Mr Bisi Kazeem, gave the warning in a telephone interview with the News Agency of Nigeria (NAN) in Lagos. 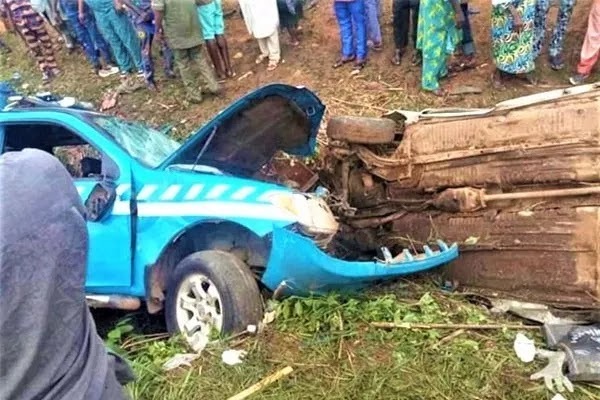 Kazeem, who was reacting to media reports of an accident on Friday, April 12 in Ibadan following a chase by FRSC officers, noted that the Corps Marshal of the FRSC, Boboye Oyeyemi, frowned at the incident. The Corps Marshal, Mr Boboye Oyeyemi, condemned the act as it is our rule that officers should not chase any erring motorist.